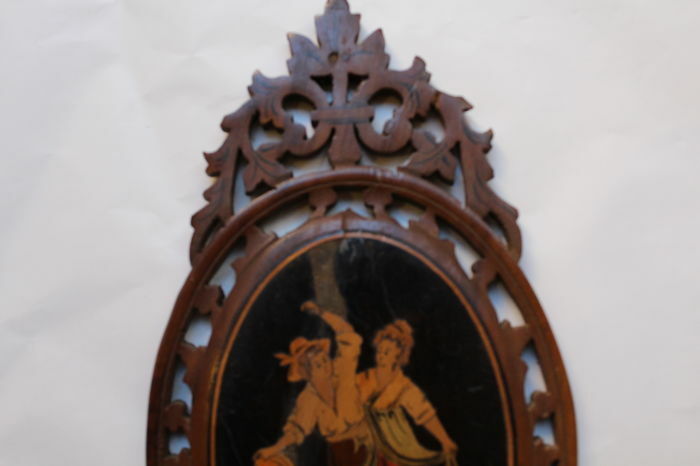 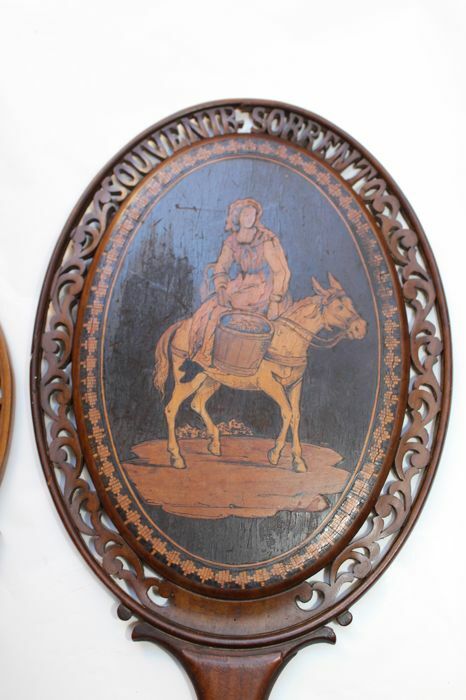 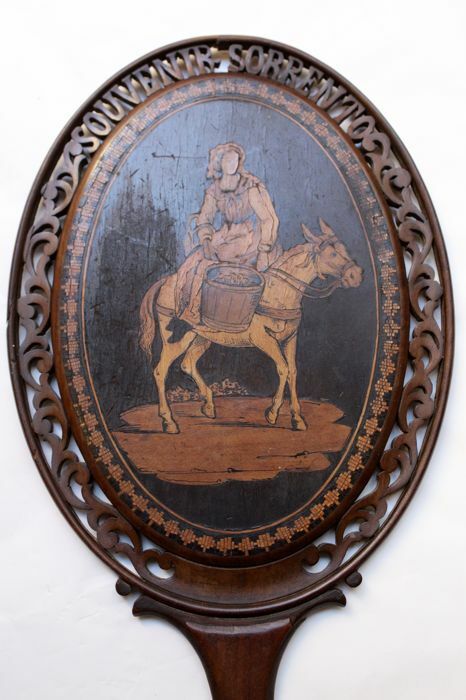 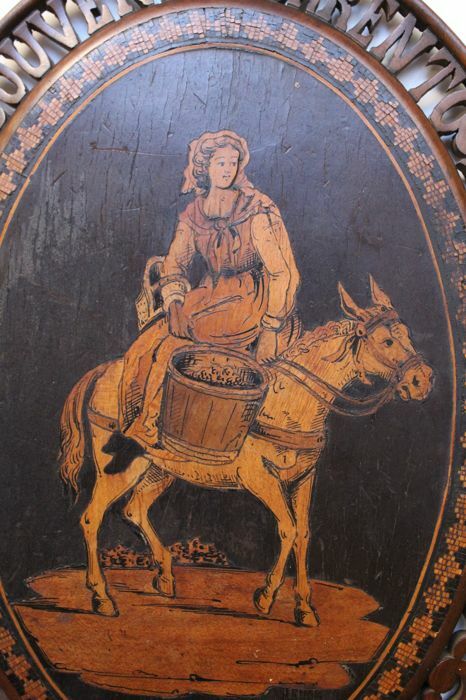 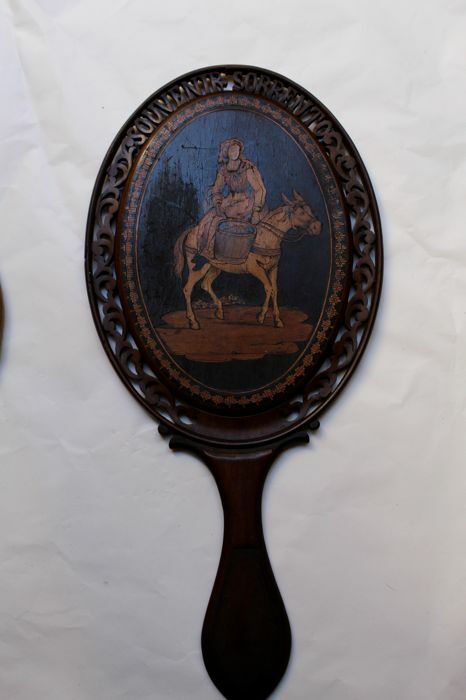 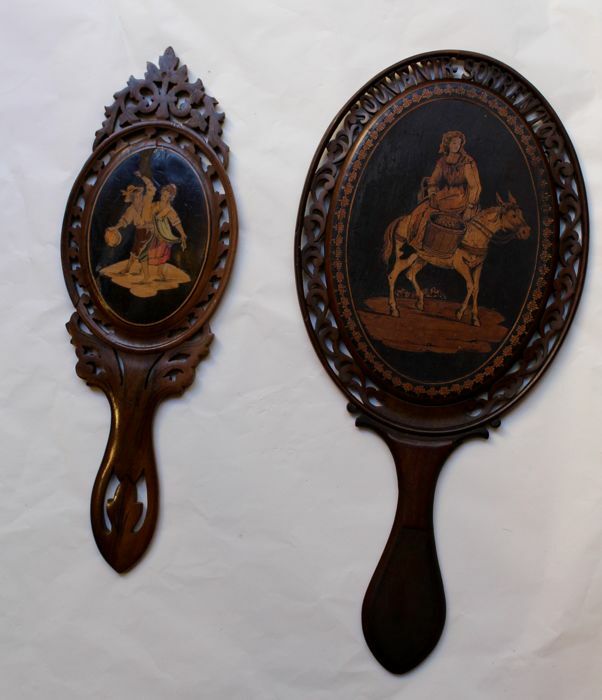 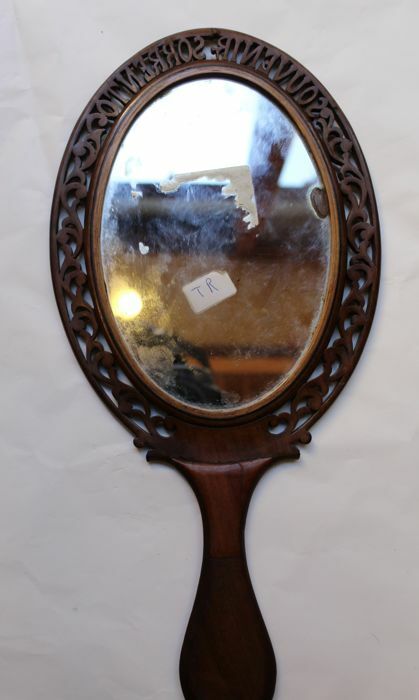 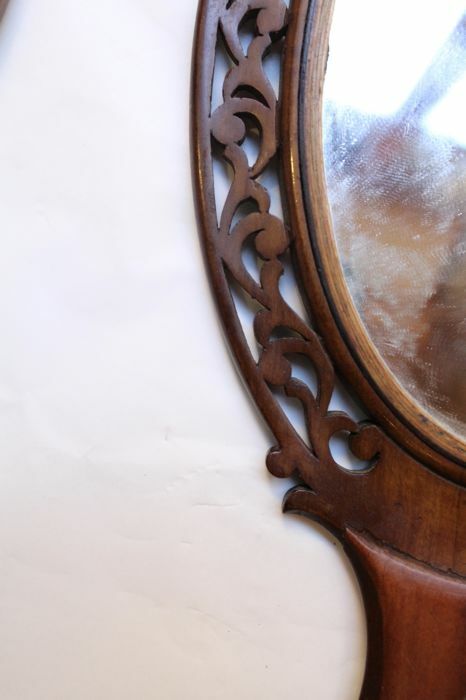 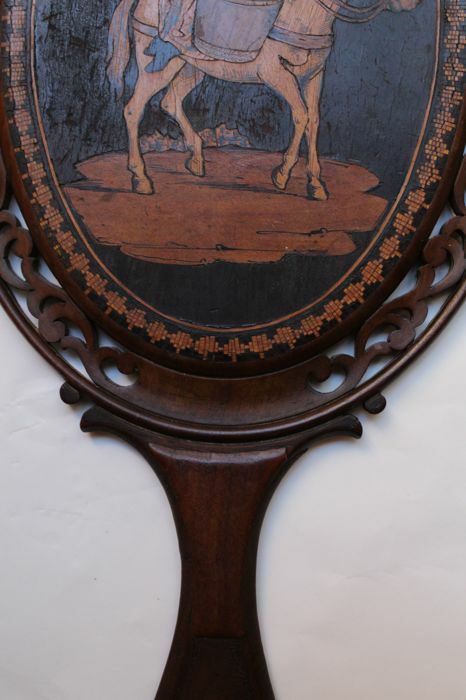 Two rare fretted mirrors in olive wood, inlaid on the back with precious types of wood, depicting folk figures and finished with watercolours. 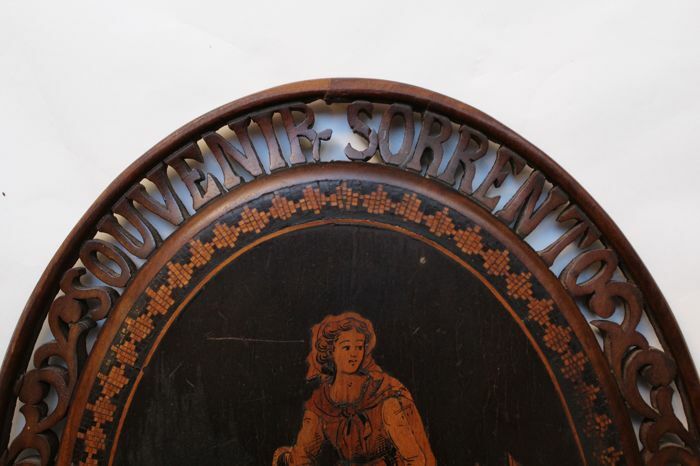 The largest one has the words “souvenir Sorrento” on the border. 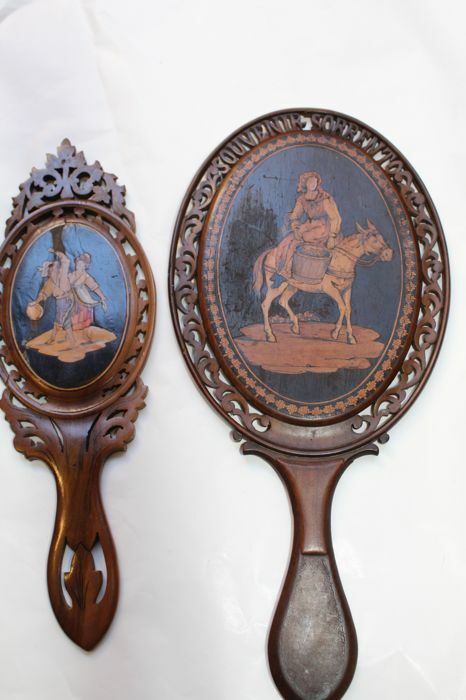 Both the items have the original patina. 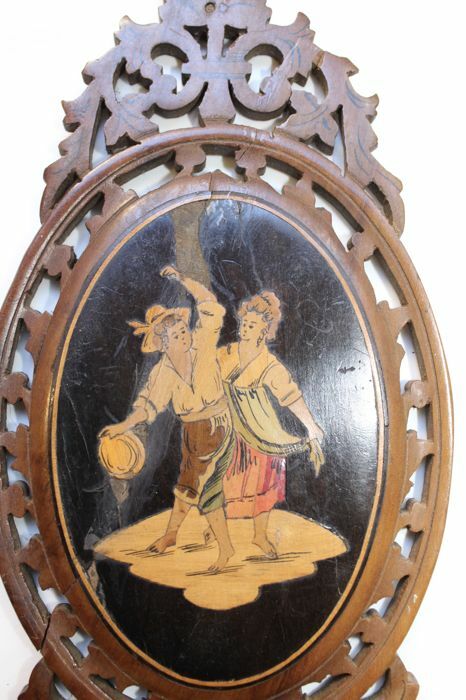 Wood: olive wood inlaid with mixed precious types of wood and watercolours. 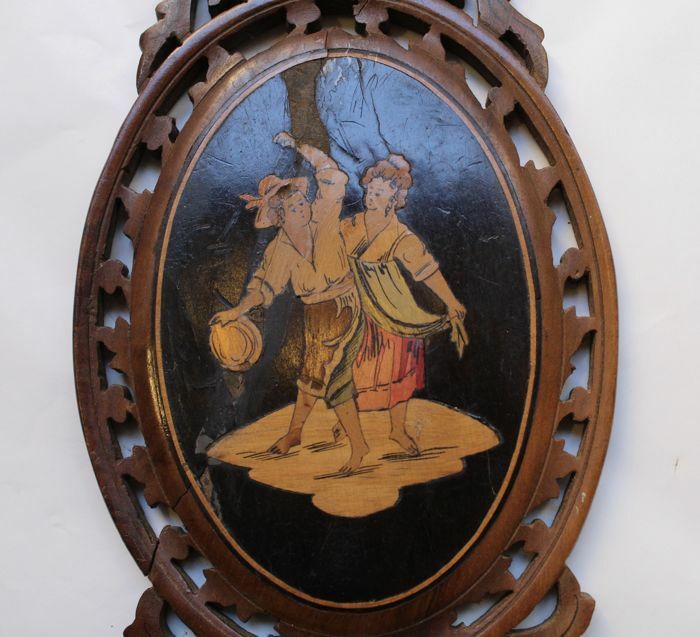 Size: 33 x 16 cm, 29 x 9.7 cm, maximum thickness 8 mm.